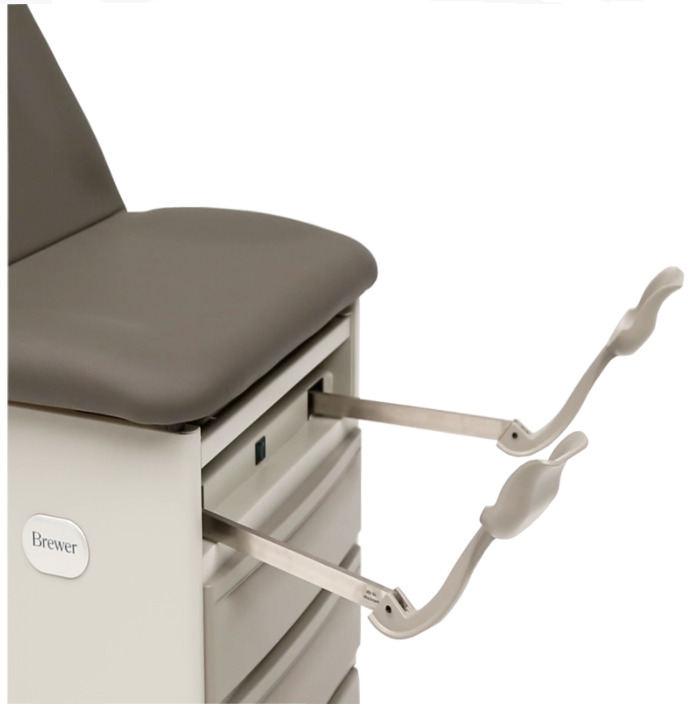 The Brewer Access Exam Table allows medical professionals to focus on patient safety and improve practice value. It comes with the most secure and largest step available on the market. 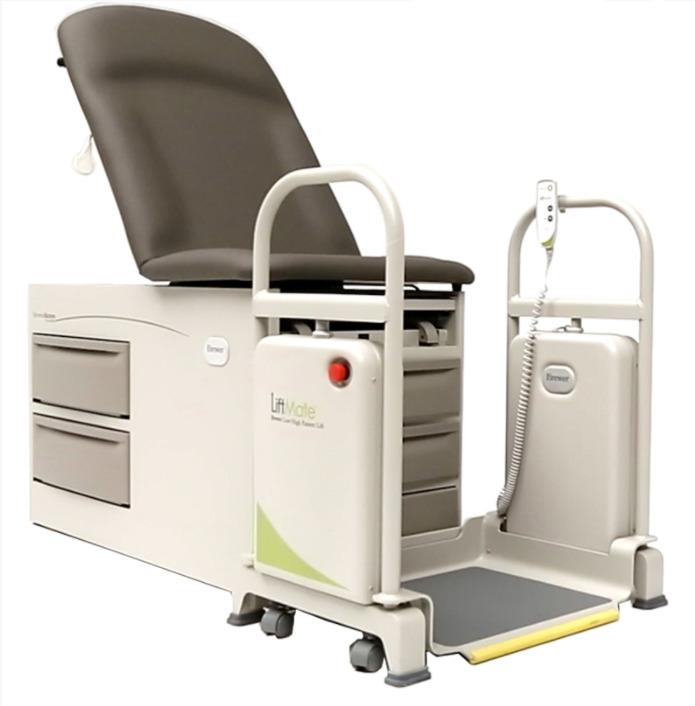 Both table and step can support weight up to 500 lbs, which makes it ideal for a variety of patients. 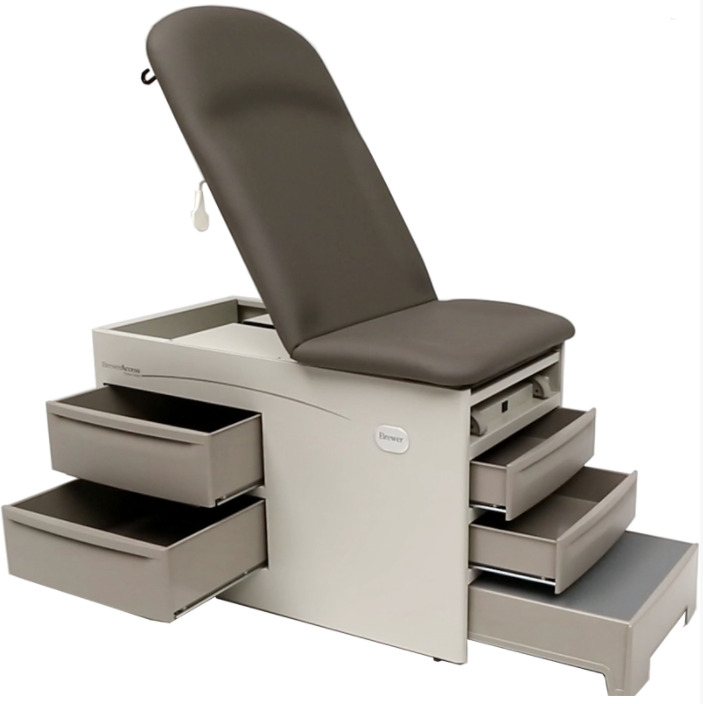 It is easily adjusted from seat to exam position and comes with standard ergonomic stirrups. 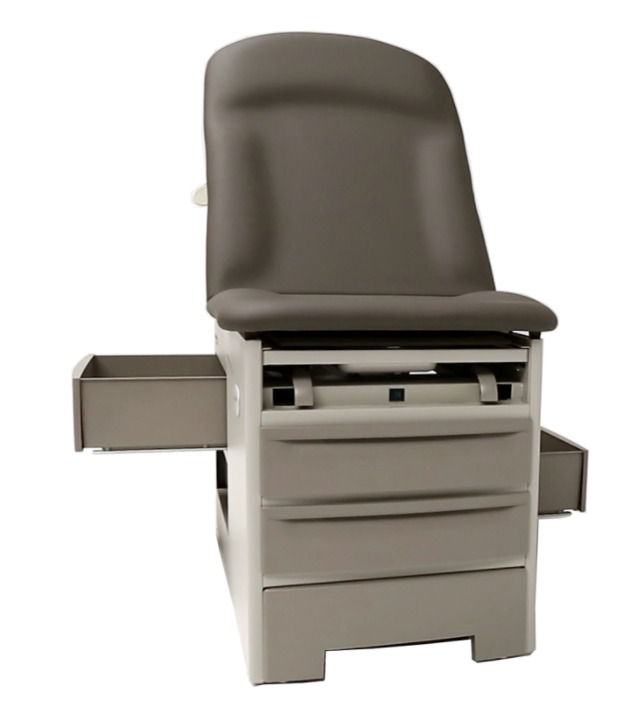 The advanced design is both comfortable and safe for patients and medical professionals. 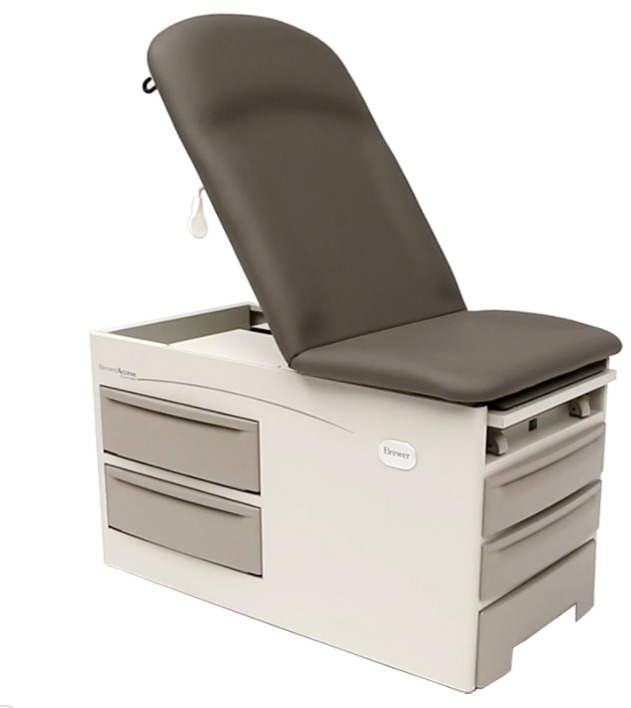 The Brewer 5001 table comes with a convenient pelvic tilt, which helps medical professionals be efficient while performing procedures and exams. 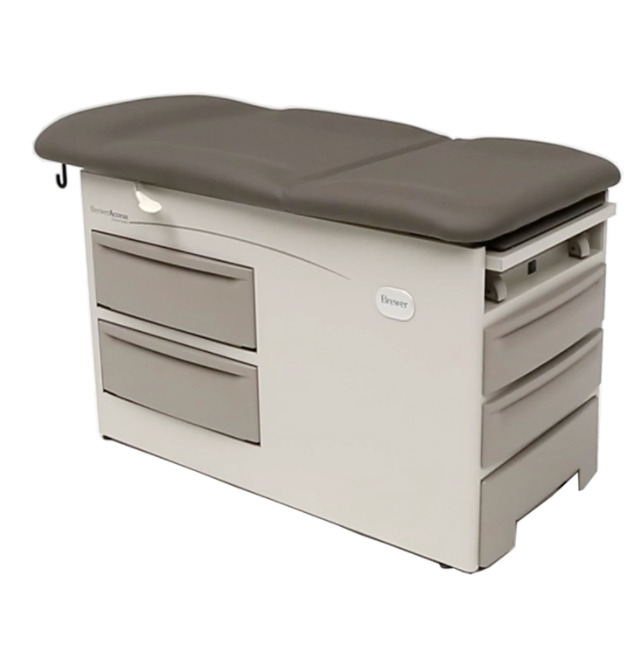 It comes with seamless, comfortable and easy to clean upholstery, which is offered in a variety of colors to match the aesthetic of any medical office. 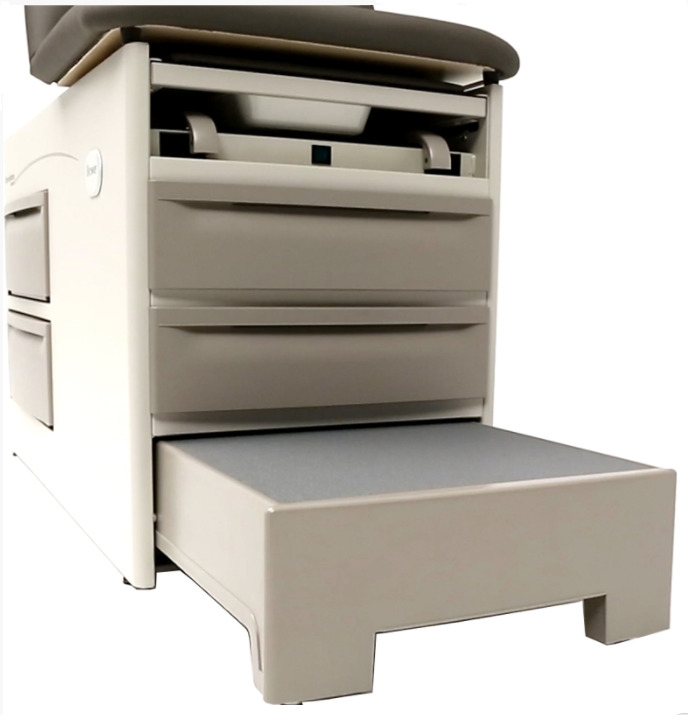 It has pass-through drawers that allow for access to stored equipment from either side of the table and maximum-extra storage space, which is best in its class. It also has paper roll storage in back for convenient access and optimal sanitation. Each table has the option of coming with or without hospital grade outlets, a 5-year warranty and is proudly made in the USA. All Brewer products conform to the US and Canadian electrical and medical industry regulations and codes.